The Grow up Australia Online Discussion Paper Submission Form is no longer available. You can still make a submission directly to the Attorney-General’s Department. Submissions close 28th of February. 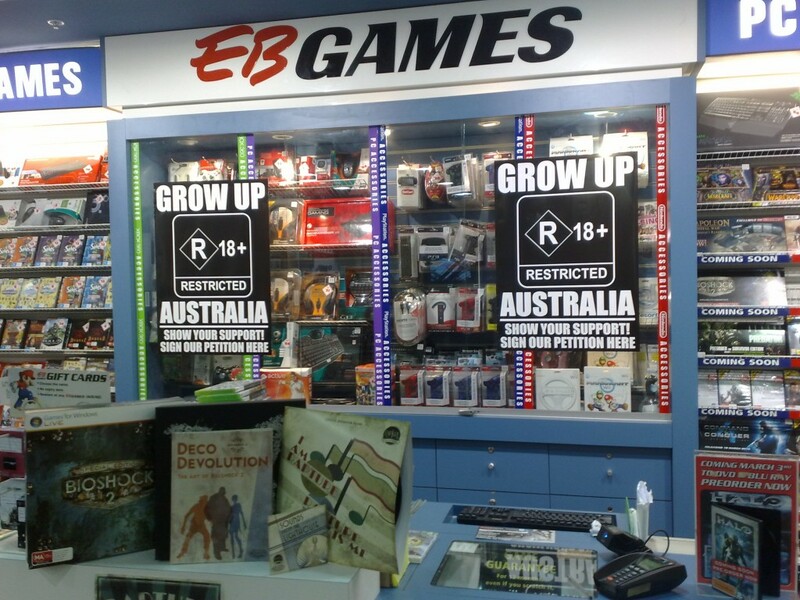 ZedGames, Brisbane’s new all-gaming radio programme is running a 30 minute feature on the R18+ videogames debate this Wednesday 17th February at 6:15 PM AEST. The show will provide an in-depth look at the issue and also provide commentary on the discussion paper and submission form. Guests on the program include Nicolas Suzor (Chairperson, Electronic Frontiers Australia) and David Doe (Founder, Gamers4Croydon). Brisbane residents should tune in to 4ZZZ (102.1FM) at 6PM; or the show can be streamed online from http://www.4zzzfm.org.au .